Halloween is just around the corner. So, it’s about time to start carving pumpkins and deciding on costumes, but most importantly, we can’t forget about the beer. This rich, moderately dry stout from Big Spruce Brewing has deep chocolate, liquorice and coffee flavours. This stout will convert even the most fearful of dark beer drinkers! Bomber Brewing has brewed us the perfect Halloween beer. The aroma smells of everything you love about fall – pumpkin spice! This beer has lots of flavour to satisfy your pumpkin fever but remains light enough to enjoy the whole bottle. If you’re spending Halloween Night by yourself, don’t beer scared! Darkling is perfect for you. This oatmeal stout balances smooth mouth feel with bittersweet roasted flavours to brighten the blackest of days. This haunting golden lager has a splash of citrus, a sweet caress of fruit hop flavour and aroma, and a brisk dry finish. Drink this beer if you’re watching a scary movie this Halloween. You and your beer can “weep” together. Are you a pumpkin lover? 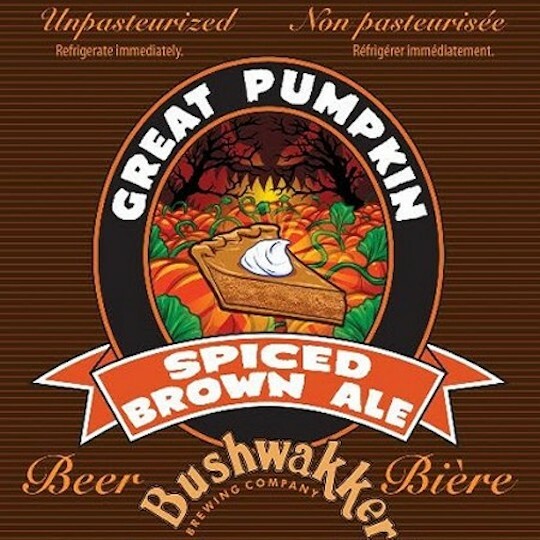 This beer is brewed with organic pumpkins, cinnamon, nutmeg and numerous spices to create a deliciously smooth brew! 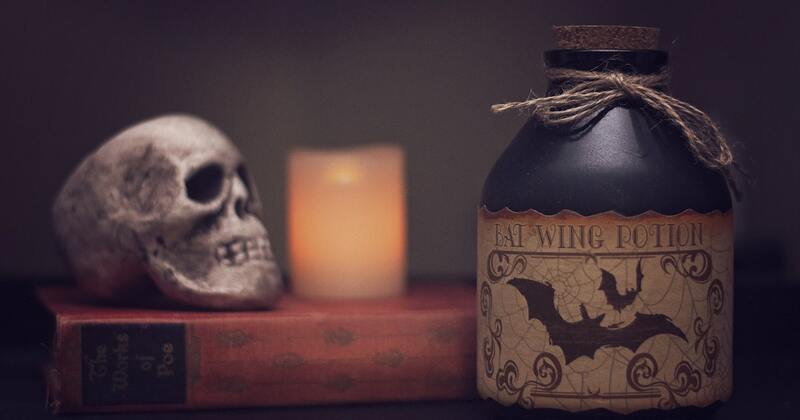 Sip on this while you’re carving your pumpkin of Halloween night! This beer is perfect for all you space-nerds out there. Perfect if you’re watching Star Trek in your parents basement this Halloween. Or maybe you’re not a space-geek and you saw a UFO on Halloween… Quick! Grab your beer (and your camera)! Beam Me Up features organic Metta Espresso coffeee from Salt Spring Coffee in Richmond, BC. Under the cover of malty darkness, mighty hops are poised to attack. It’s a mysterious blend of flavours that could only come from Cascadia. Roasted black and chocolate malt flavours with a bold bitterness from Pacific Northwest hops. Drink this beer if you’re planning on eating braised red meat, like smoked brisket or barbecued prime rib on Halloween night! This Howe Sound beer was brewed in celebration of the annual North American Pumpkin Harvest.A high gravity ale that was brewed with roasted pumpkin, hops, cloves, cinnamon, nutmeg, and star anise. This beer is able to slay the mightiest thirst. This is an easy drinking beer, perfect for when you’re answering the door 100x a night for trick or treaters. This beer is a magical potion that casts a potent spell with its well-crafted blend of blond and caramelized malts, gentle hop, cinnamon, ginger, nutmeg, cloves and pumpkin. Its delicate malty character and hint of sweetness will quench any creature looking for easy-drinking refreshment. The Reaper comes ripping! This is for all you hop fiends out there! High ABV, high IBU! Perfect if you’re planning on getting slightly tipsy on Halloween. This brew uses a barrel-aging trick to put the finishing touches on a pumpkin treat! Slightly sweet and gently spiced with a soft vanilla touch. If you’re looking for something a little light, try Crookeder Tooth’s older brother Crooked Tooth. Fear the reaper! This beer is brewed with whole-cone hops delivered fresh to the brewhouse, this fresh hop IPA only comes once a year at harvest, so grab it if you see it! This full-bodied ale has aromas of mild malt and a robust floral bouquet. Tastes of sweet & fruity malts like apricots and mango. This beer has slight candy notes. Perfect for munching on your favourite Halloween sweets! This beer is a great match with dark fall evenings. A fall tradition, this beer is roasty and spicy with a smooth pumpkin follow through. This unique brew displays classic aromas and flavors of citrus and grapefruit that marry seamlessly with the flavors from real pumpkins used in the mash. Full bodied and dry, with a snappy bitterness, combined with subtle pumpkin pie spice and a clean finish make it the perfect fall brew. A beer with a spooky tale, Maudite was named after a group of Canadian lumberjacks who allegedly made a pact with the devil. As the legend goes, eight lumberjacks wanted to go home for the holidays, so they sold their soul to the devil, in return for them flying home in their canoe. However, during their passage home, one of them invoked the word of God and found a way out of the deal they made with the Devil, instantly causing the flying canoe to fall out of the sky. Long before the big boys added lime flavours to their lagers, Yukon was making a wheat ale which combined natural cranberries with the tangy goodness of yeast, since the beer is unfiltered. Deadman Creek started as a seasonal beer, using only Yukon berries. Demand soon outstripped the supply, however, and they (now) only supplement with local berries when they are available. Of course, they only use pure natural cranberries, with no artificial flavours. You’re not going to be overwhelmed by the cranberries, they lurk in the shadows of this ale with their tart flavour complementing the yeast perfectly. A cloudy pour shouldn’t scare you off, as an unfiltered beer, it’s supposed to look like that – just relax and enjoy (just make sure to keep a second close by). Hoppy Halloween from all your friends here at JustBeer! No matter what you’re drinking, we hope you have fun and stay safe!